GRID is a piece for everyday life with a modular seat that can be composed differently to ensure comfort and that can be adapt to small or vast rooms. In 2016 POOL develop the concept and transformed GRID into an all-modular system by creating basic modules: a simple armchair, a corner armchair, a stool and coffee table now join the range to complement the two seater sofa. They can all be connected by a simple attaching system in order to create a number of configurations: 3 seater sofa, a corner sofa, a loveseat… to suit your every whim. 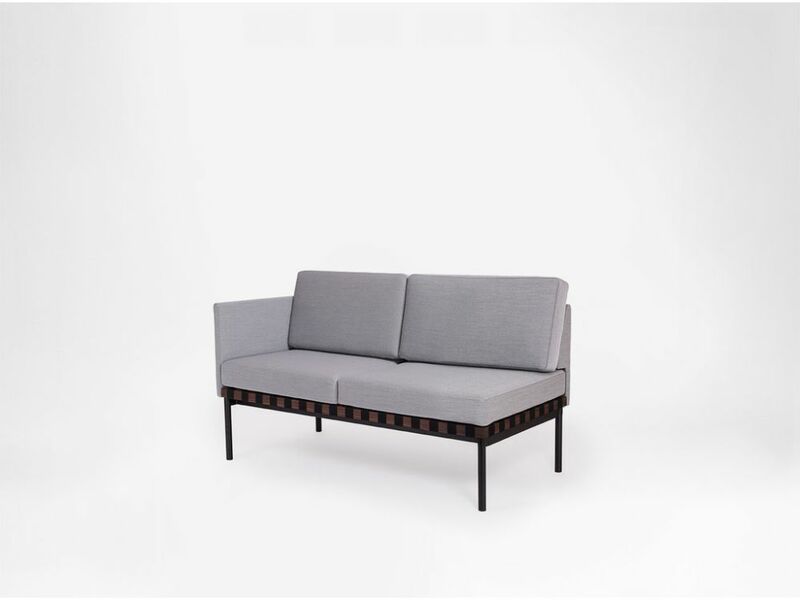 Each element retains the identity of the original daybed: a strapped wooden structure help up by a black tubular steel leg; all topped with geometrically patterned square or round fabric leather cushions.